Sometimes we get the impression that the Fed has absolutely no clue what they’re doing. It’s almost like they can’t make up their mind when it comes to monetary policy. On one hand, they’re raising interest rates, but are also leaving the 2018 policy outlook unchanged. Researchers Feng Dong and Yi Wen recently … showed that when aggregate demand for investment and consumption is extremely weak, it is optimal for central banks to implement negative interest rates. This policy would potentially reduce the cost of borrowing and stimulate investment spending. It goes without saying that everyone needs to protect their money from these “ivory tower” banking shenanigans. These economists have no “skin in the game” so they make policies without factoring in consequences for those who have their personal savings involved. The central bank’s goal is to incentivize agents to shift investments away from government bonds to something more productive economically, thus stimulating the economy. Like the wizard in the movie Wizard of Oz, the great and powerful Fed wants to force banks to quit storing cash and make loans. They think this will stimulate economic growth. Plenty of folks think that they’re dead wrong. They also want to strong arm corporations to put their cash, loans, and savings into the central banking system. The central bank can also require (by law) large corporations to keep their cash, savings and loans in the banking system when a negative interest rate policy is implemented. 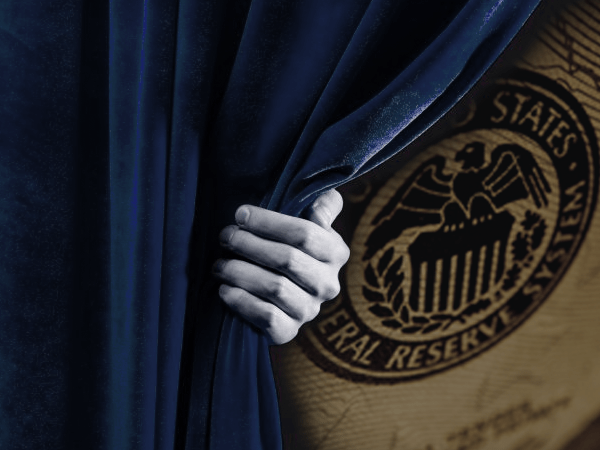 But pay no attention to the Fed behind the curtain, everything is okay and you should just lend them your money and then pay interest to them on top of that… right? Wrong. Interest rates are still below 2% and bubbles are forming again in real estate and credit markets. This track record tells us that the previous decade’s economic problems haven’t been solved without negative rates. And even without negative rates, the Fed is already making the world nervous. As of earlier this month, China is viewing the U.S. treasuries as less attractive. So what makes Feng Dong and Yi Wen over at the St. Louis Fed think negative rates will solve any of our decade’s worth of economic problems? Negative interest rates were announced by the BOJ in January 2016 as the latest iteration in monetary experimentation. Six months later, the Japanese economy showed no growth and its bond market was a mess. In fact, it has gotten so bad in Japan, the largest private bank wants to leave the Japanese bond markets. So in Japan, negative rates have been proven not to work. Yet in the U.S., the Fed keeps hinting at them. So what can you do to protect yourself against this recent tidal wave of Fed stupidity? Precious metal prices tend to grow significantly amidst market declines, crashes, and recessions as well. Gold’s “golden secret” is it offers you protection against adverse events like the real possibility of the market crashing because of idiotic monetary policy like proposing negative rates. And when markets crash, reactive buyers begin snatching up metals fast, which instantly drives up prices. The best move is to get ahead of that.